The growing medicinal plant and natural products industries offer opportunities for North Carolina farmers to diversify and supplement farm income with new specialty crops. The goal of this project is to introduce growers in western North Carolina to potential crops in this market, and to begin to research cultivation techniques for these plants. Through education, outreach, and research, promising crops will become established alternatives for growers in North Carolina. 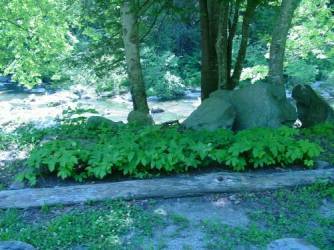 Goldenseal, ginseng, and ramps are native plant species with established or growing representation in the natural products industry. 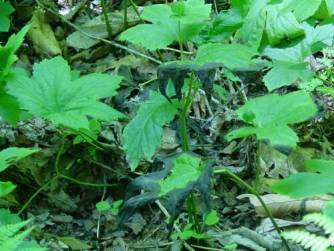 Goldenseal and ginseng are highly prized in medicinal markets, while ramps are popular for culinary uses. Conditions in western North Carolina are favorable for these plants, but production protocols have yet to be established. In these preliminary studies, local growers and residents became involved in determining effective methods for producing these crops on a commercial basis. 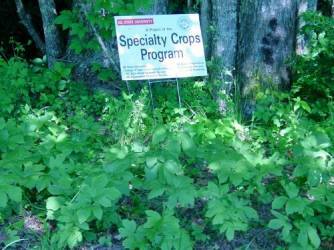 Goldenseal, ramp, and ginseng plants were given to approximately 20 cooperating farms in the form of plugs, rootstock, or seed. These materials were planted by cooperators according to the instructions of Specialty Crops Program Leader, Jeanine Davis. 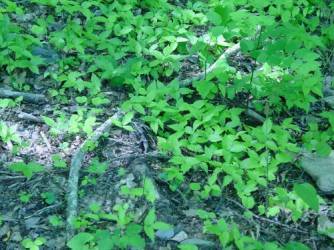 Most test trials are in the form of 10 ft. X 12 ft. plots placed in wild-simulated positions. Each cooperator keeps a record of how each plot was planted, the date, weather conditions, and any other significant observations. Plots are monitored each year for disease incidence, growth rate, flowering/fruiting, etc., and results are recorded regularly. Public interest in the project has allowed the involvement of a considerable number of cooperators. The disease problems seen during the first year were greatly improved during the 2002 growing season. About 95% of the plots had little or no disease, growth rates were good, and reproduction of plant materials was noticed in many of the plots. Little to no herbicides, fungicides, or insecticides had to be used this year. Results have been encouraging in the second year of this on-going project. 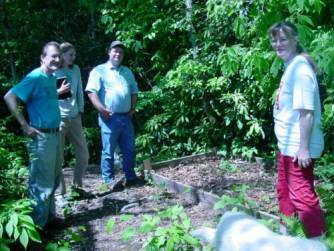 Growers are gaining experience producing these new woodland botanicals. As a group, they are developing markets and value-added products. Probably the most important impact this project has had is the confidence and sense of engagement it has fostered among the growers involved. In addition to helping these growers produce their first crops, these replicated plots will provide yield data that will be so important in the development of production budgets for them to use when trying to obtain business loans. Additional research on production techniques is needed to make particular medicinal crops a viable competitor on a large commercial scale.